Ryan Remo Fioroni (born 19 July), better known by his stage name Remo Conscious, is an American Hip-hop singer, recording artist, producer and activist based out of Oakland, California. Besides recording, he is a supporter of Animal Defenders International, campaigning against animal cruelty in circuses and narrating the web film Stop Circus Suffering. Born in Las Vegas, Remo's upbringing was frequented with alcoholism, drug abuse and violence. He began writing and recording hip hop music after his twenty two-year old sister died from a cocaine overdose. His first tracks were produced with nothing more than two tape decks, using his own vocalisations as backing tracks. In 2003, Remo created the record label Soul Cipher Records, and began recording politically-driven, anti-Bush songs. Since then his music has centred around general police corruption, democracy, economics, US Imperialism, and the September 11 attacks, as well as specific events such as the shooting of Oscar Grant. 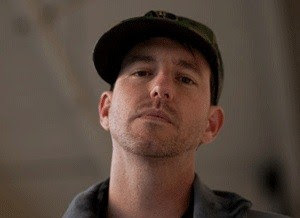 Dylan Avery, the director the documentary Loose Change, contacted him after hearing the song "Lies" played live and requested that it be used in the trailer for the second edition. After watching the film, Remo was then asked by Avery to produce a theme song for the film . The track "Loose Change" was featured in the credit sequence for the final cut of the film. The most recent album, Infiltration, includes contributions from several producers, including Donnan Linkz and Seth Spins.